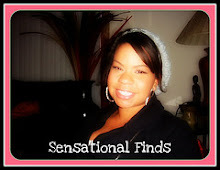 Sensational Finds: Martha Stewart Glitter Glue Manicure! 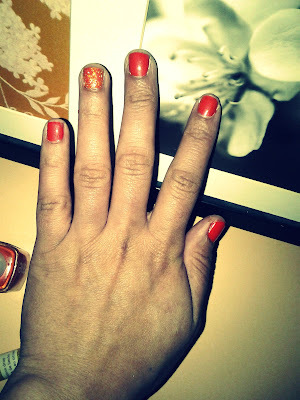 Martha Stewart Glitter Glue Manicure! If your like me and love to wear glitter polish on your nails, then here's a tip that I've found and want to share with you. 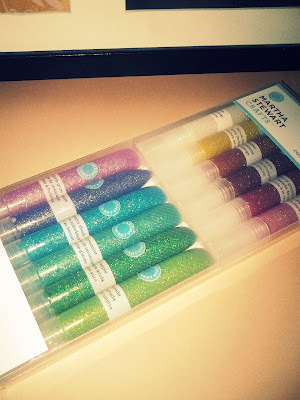 Go to your local craft store and purchase the Martha Stewart Glitter Glue, it cost about 12.99 for the one I purchased, but they have a larger one with a ton of colors for 29.99. I know that sound a little expensive, but right now Michael's has a 40%off coupon as well as a 20% of your total purchase including sale items. This will cut that price in half and make it much more affordable. 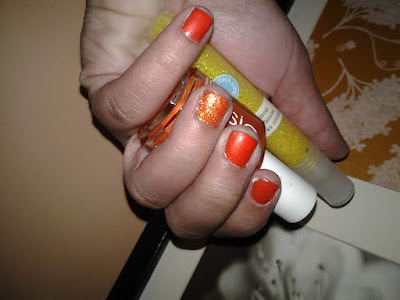 I used Essie Brizillant, Lemon Drop Glitter Glue, and Essie Good to Go top coat. Paint your nails like you normally would. I did 2 coats of the Essie polish. Now your going to pick out the color glitter glue you want to use. This set doesn't have any gold or silver, which I wish it did, so I'm thinking about going back to get those colors. 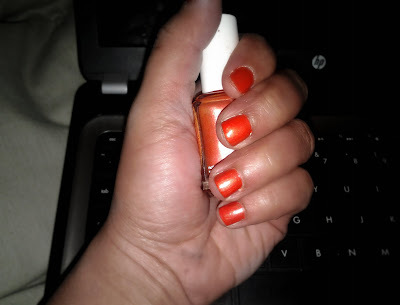 I don't have a picture but I applied the glue to the whole nail, then took my top coat and smoothed it all out. Here's the finished product! 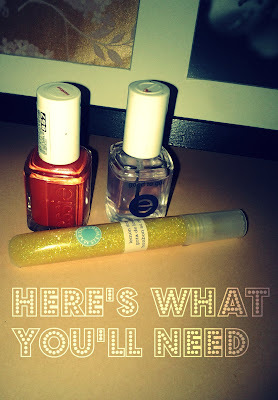 Having the Martha Stewart Glitter Glue is like having a bunch of different glitter polishes, for half the cost! I can't wait to play around more with them and see what color combos I can come up with! Oh nice! Let me know how difficult it is to take off. If it's easier than glitter polish than I may have to give it a try! that looks so good! great idea!